The Coram Experimental Forest (CEF) was established in 1933 on the Flathead National Forest in northwestern Montana. 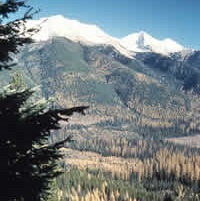 This forest represents the western larch (Larix occidentalis) forest type occurring in the upper Columbia River basin. Western larch trees regenerate best on exposed soil and full sun sites that are typical after fires or similar disturbances. 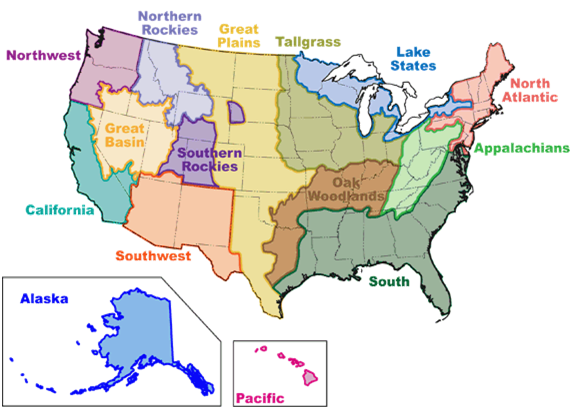 Conservation of the western larch forest type is a priority for area land managers. Although there are six forest types represented on the CEF, the majority of the forest is covered by western larch and Douglas-fir (Pseudotsuga menziesii), but Engelmann spruce/subalpine fir (Picea engelmannii/Abies lasiocarpa) forests occur on cool, moist sites at all but the lowest elevations.